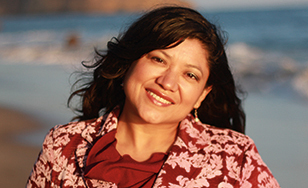 St. Scholastica will host critically acclaimed author Reyna Grande as part of the Warner Reading Series at 7:30 p.m. on Friday, Feb. 8, in the Mitchell Auditorium on campus. "The Distance Between Us" is Grande's memoir about her life before and after she illegally immigrated to the United States from Mexico as a child. A finalist for the National Book Critics Circle Award, it was hailed by the Los Angeles Times as "The ‘Angela's Ashes' of the modern Mexican immigrant experience." Grande is also the author of "Across a Hundred Mountains" and "Dancing with Butterflies." Now entering its eleventh year, the Warner Reading Series is an annual event featuring a preeminent national author who presents a lively reading following a day-long writing conference. Funding for the Warner Reading Series is generously provided by the Manitou Fund. For more information, contact Ryan Vine at rvine@css.edu.